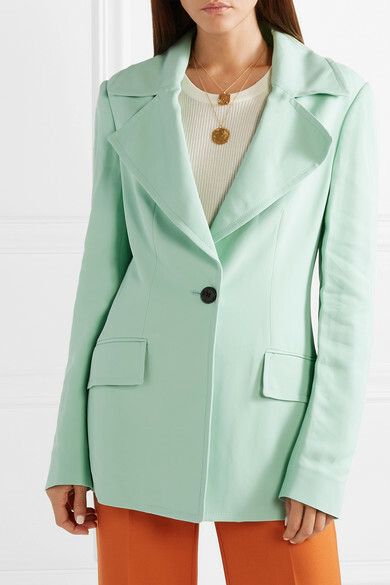 Derek Lam says that the most important part of building a well-edited wardrobe isn't focusing on basics, but filling it with bold, colorful pieces, like this pistachio blazer. 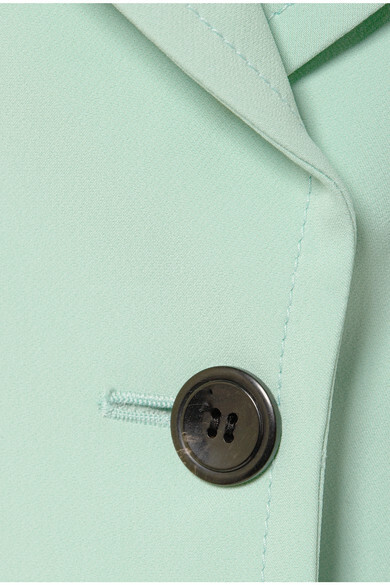 It's been tailored in Italy from crepe and simply detailed with exaggerated notched lapels and a single horn button that draws attention to the smallest part of your figure. Create an interesting color contrast by paring it with warmer tones. 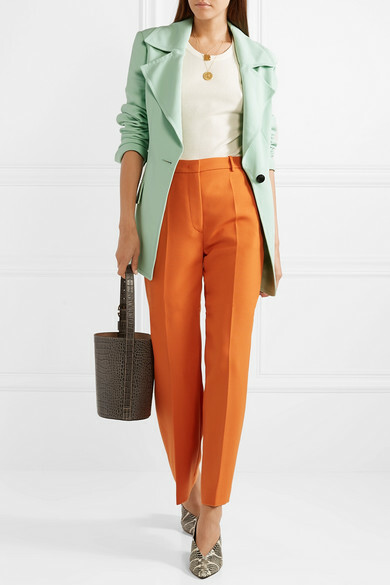 Shown here with: Joseph Pants, Proenza Schouler Tank, Trademark Bucket bag, aeydē Pumps, Alighieri Necklace, Alighieri Necklace.